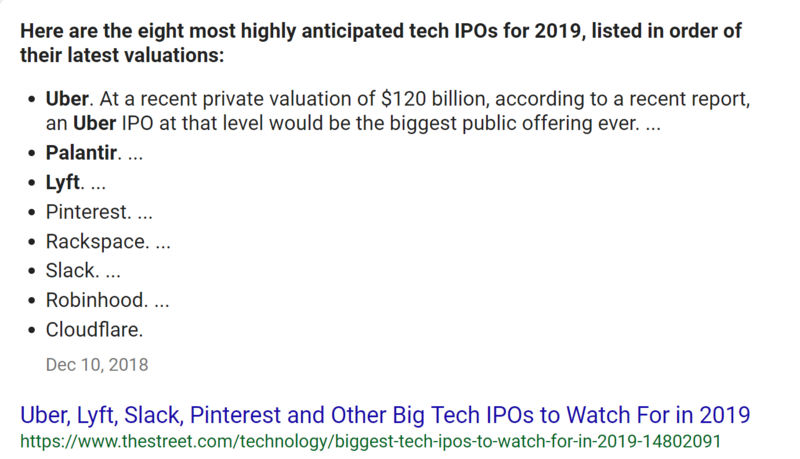 2019 is the year of the venture capital (VC) funded startup IPO (initial public offering). The goal of any privately funded startup is to either get acquire by an conglomerate or to IPO, which is the first opportunity for the public to invest in the company. 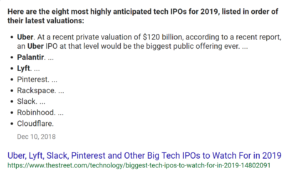 Uber, Palantir, Lyft, Pinterest, Rackspace, Slack, Robinhood and Cloudflare round out the big tech IPOs. 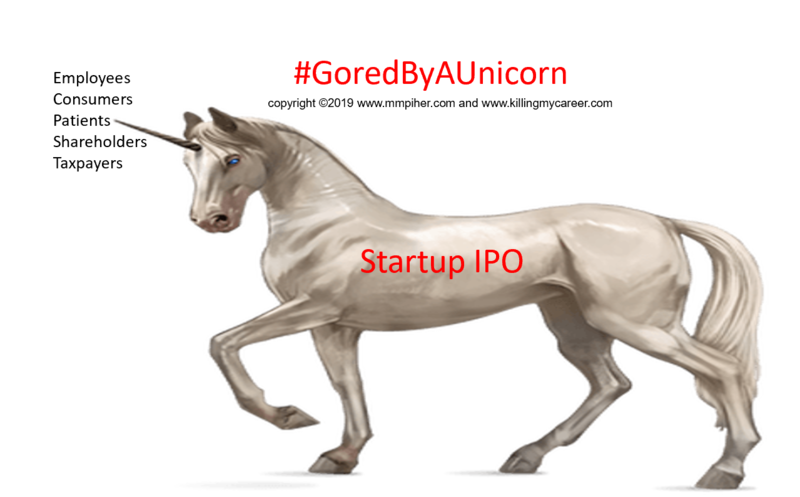 For those outside the industry, a startup Unicorn is a company valued at over a billion dollars. Even for those in the industry, including media, there’s confusion over a company’s valuation and what a company is worth. That’s by design. 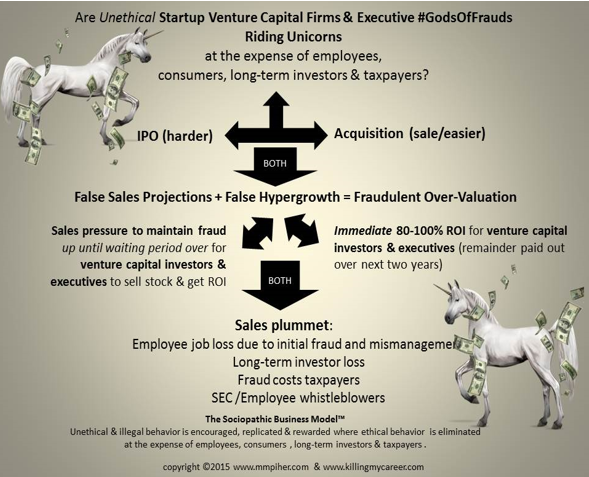 The billion-dollar-blinders approach, confusion coupled with excitement while preying on long-term investors outside the industry, is the goal of venture capital (VC) firms that knowingly and willingly fund startup fraud. What the general public doesn’t know is that in Silicon Valley funding startup fraud is the norm, not the exception. 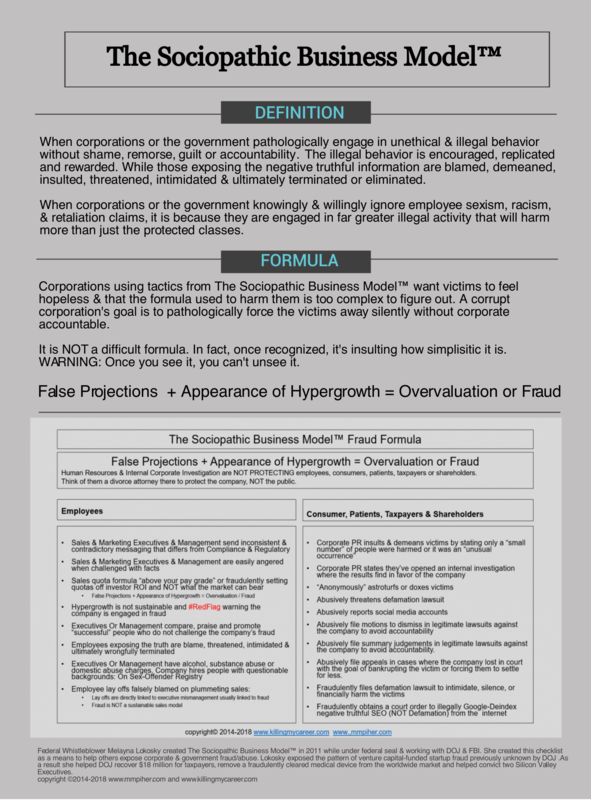 The Sociopathic Business Model™ Fraud Formula was created while working with The United States Department of Justice (DOJ), FBI, FDA, DOD & CMS, as a venture capital funded Silicon Valley startup whistleblower. A common misconception is that it’s only a financial fraud, where the victims are just the investors. That is false. 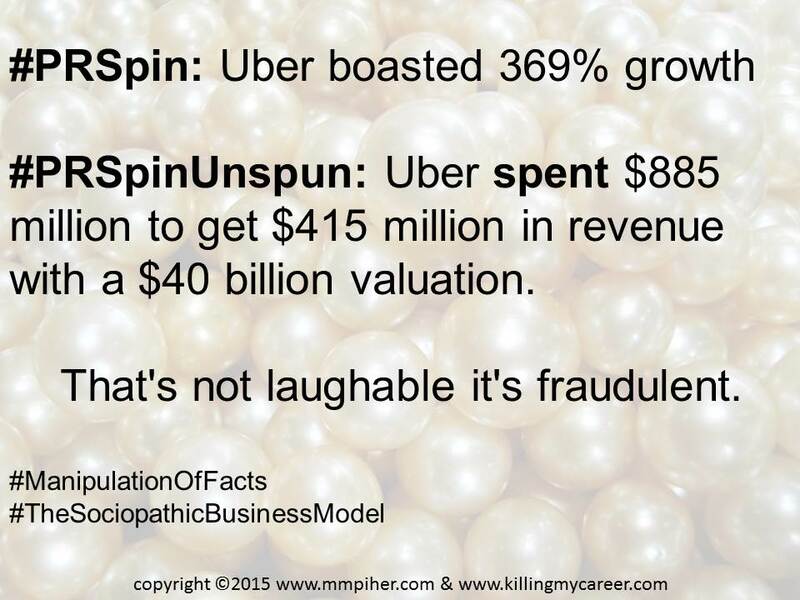 Venture capital funded startup fraud harms and kills. The use of false projections to give the appearance of hypergrowth for an overvaluation is fraud. 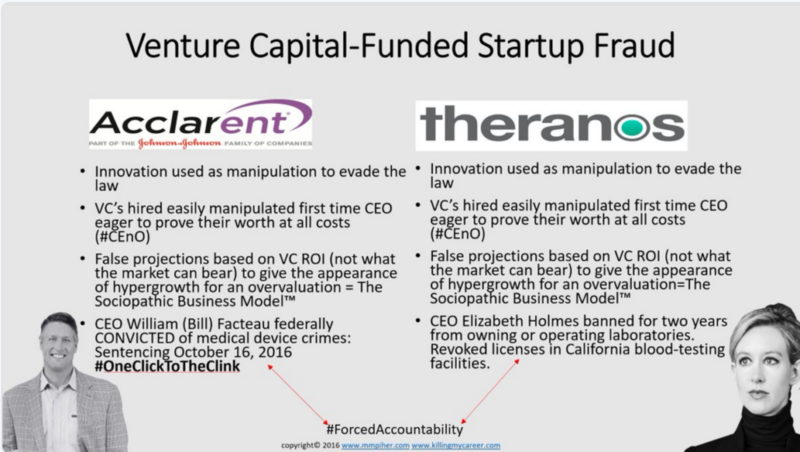 The Sociopathic Business Model™ predicted & exposed fraud in venture capital funded startup Acclarent in 2011. In 2016 executives were federally convicted and the acquiring company Johnson & Johnson, who was complicit with fraud, was forced by pull a $40 million medical device from the world-wide market and pay $18 million to the United States Department of Justice (DOJ). Comparisons between then Acclarent CEO William (Bill) Facteau & Theranos CEO Elizabeth Holmes were made to DOJ in 2014 where The Sociopathic Business Model™ predicted the arrest, indictment and conviction of Holmes long before the media or even before Bad Blood’s John Carreyrou. 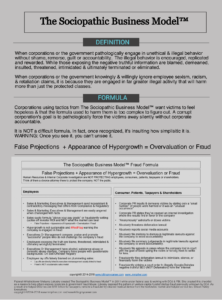 Startup innovation used as a manipulation to evade regulatory & compliance laws is common & it goes beyond financial fraud because it harms, physically injures or kills, employees, consumers, patients, long-term shareholders & taxpayers both pre and post IPO. A point the media and even authors on the subject of startup fraud are still missing is that venture capitalists are complicit with startup fraud. VCs want 8-10 times their original investment (ROI) back in roughly 3-5 years. Quite simply, VCs think their money is more important than your well-being or life. Take steps to protect yourself as an employee, consumer, patient, shareholder; and, as taxpayers who end up paying for federal investigations because startups are harming or killing innocent people, remember your purchases have power. Don’t wait for DOJ to arrest a startup CEO, watch for the signs before and start holding them publicly accountable. Employee whistleblowers working with DOJ are the public’s first line of defense against a company that is knowingly & willingly ignoring regulatory & compliance laws who are putting profits over the health and safety of others. Employee job loss and or company restructuring post IPO are just media buzzwords for startup executive mismanagement linked to fraud. Remember, the VCs for each firm usually have positions on the board pre-IPO, again, meaning they are complicit. Sadly the employees are often falsely blamed for problems they didn’t create. If you work for a startup that employs tactics from The Sociopathic Business Model™ Fraud Formula, expect for non-executive employees to be shocked at how little they’ve made post-IPO (preferred stock v common stock) and to be out a job six months to a year later. Fraud is not a sustainable business model. Really educated yourself as a consumer or patient before using products developed by venture capital funded startups. Remember VCs care more about their ROI than your health and safety. They’re exploiting your excitement for innovation hoping you’ll forget you’re an unpaid test-subject for their product. You only need look to Uber’s autonomous cars (self-driving) that killed a woman in Phoenix. Uber didn’t have their top engineers who designed the product behind the wheel, they had someone totally unqualified putting everyone at risk. Pre IPO it’s very common for the startup to ignore consumer complaints. 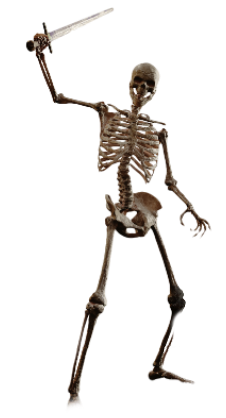 Refusal to report adverse events to government regulatory agencies for fear it will hurt the sale of the company to blaming the sales rep for not training the consumer properly or blaming the consumer for not using the product properly, are all tactics designed to get the company sold before anyone discovers fraud. Unethical companies engaged in illegal behavior are focused on the image of the company not the substance. In February 2016, startup Uber, pathologically linked to unethical and illegal behavior, changed their logo, not the problems the company faced and still faces today Pre IPO. This article I wrote on July 2, 2015 Uber CEO Travis Kalanick: Silicon Valley’s Latest Unprosecuted Felon, which hilariously & predictably got me Twitter blocked by then CEO Kalanick, because I factually questioned the company’s hyperinflated valuation. Huge #RedFlag. Even though it’s from 2015, the UBER is STILL A HUGE #REDFLAG to potential investors for a 2019 IPO. Just as Johnson & Johnson’s Acclarent was under federal investigation & is using the law firm Covington & Burling to fight the whistleblower retaliation claim, so too is Uber since 2017-under federal investigation & using Eric Holder’s DC law firm Covington & Burling. 2017 is the year Kalanick was kicked out as Uber’s CEO & replaced by Dara Khosrowshahi. It was widely and falsely speculated the ousting was due to Susan Fowler’s sexism claims, it’s because the company was and still is under multiple DOJ criminal investigations. Taxpayers Don’t ignore the signs or dismiss the fraud because you love the product. 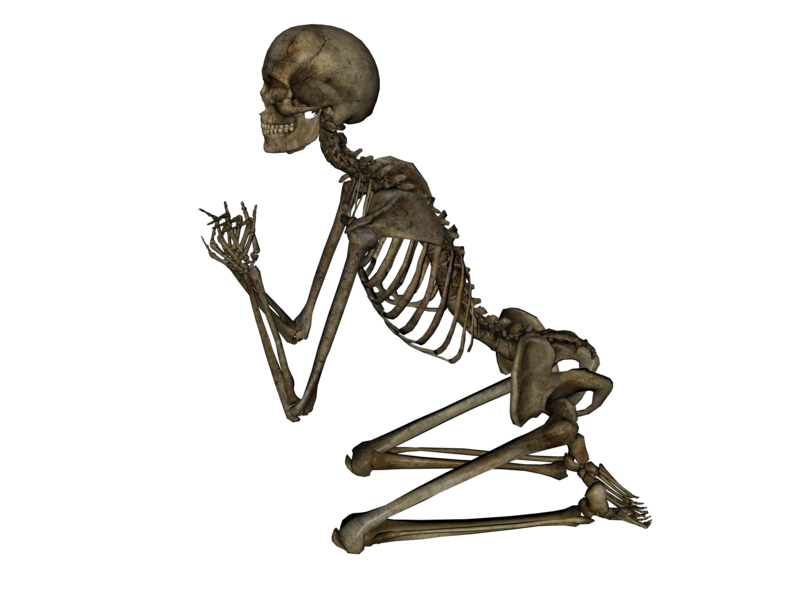 Per The Sociopathic Business Model™ Fraud Formula, all accomplices (consumers) eventually become victims (harmed either financially for physically). It’s not a matter of “if”, it’s “when”. Help the employees, consumers, patients and shareholders by supporting them on social media.